Concrete is one of the most popular building materials used all over the world. Despite its popularity, concrete isn’t always considered ‘beautiful.’ Instead, concrete is viewed as a more industrial material. 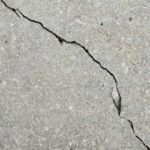 Due to the strength and affordable quality of concrete it’s still a desirable option. Decorative concrete is an excellent option if you are interested in concrete but want the high-end look of natural stone, brick, or pretty tiles. Decorative concrete ranges to include a number of styles, colors and textures. Despite its beauty, decorative concrete can still be used for the same utilitarian purposes as traditional concrete such as building walls, driveways and patios. There is everyday grey concrete you see on buildings, freeways, public walkways and driveways and then there is decorative concrete, which you are likely to see in a variety of the same places as well. Decorative concrete is simply regular concrete with an added touch of unique coloring, patterns, or finishes. Decorative concrete can also serve safety purposes as well, for instance adding texture to concrete will create a no-slip finish perfect to install around pools, or where children and/or the elderly frequent. Many different types and styles of decorative concrete have come and gone over the years, so the important thing is to stick with something traditional you are going to love for a long time to come. There are many ways to apply decorative concrete. One method includes adding special ingredients to the concrete mix prior to it being poured. 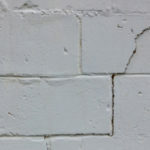 Or, an additional decorative layer can be added on top of traditional concrete after it has cured. Here are a few popular types of decorative concrete available. There are virtually limitless possibilities with stamped concrete, which is made to imitate the look of stone, slate, brick, cobblestone and other materials. Stamped concrete can also include imprints of nature such as shells or fossils. Concrete is durable and low cost, so it allows you to get creative and go for a more high-end, personalized look. Stamped concrete involves pressing molds into concrete while still in its plastic state. Also, color can be added using a number of different methods. Stamped concrete is used outside and inside to construct everything you can think of including driveways, patios, and indoor countertops too. The only downside is that the coloring is not going to last forever and will eventually begin to fade and appear patchy. Thankfully, there are options to restore the look of your stamped concrete. Concrete dyes have been around to help change the color of concrete for years, but recent changes have made them more effective than they were in the past. Alcohol-based dyes are not effective for outdoors because they tend to fade in the sun very quickly. The latest concrete dyes are mixed with more appropriate solutions to better resist fading in the sun, including a UV inhibiting agent. Still, concrete dyes fade on average between 5-8% every year when regularly exposed to direct sunlight. You can create a number of different textures to imitate brick or even natural stone using stamped overlays. This is a process in which rubber imprinting tools are gently pressed into thin pre-mixed concrete just after it is poured. As a result, it dries with the imprints in tact. In order to keep the rubber stamp from sticking to the concrete, release agents are added to the mix. Release agents come in a variety of colors. Polymer cement overlays have been used to transform concrete since 20+ years ago. Adding a polymer resin to the mix gives the cement a lot more strength and increases its overall natural performance. Polymer cement overlay is an economical way to add color, texture and to concrete that will last for a long time without the need for many, if any, repairs. 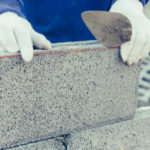 Concrete can be polished using Mechanical grinders and diamond pads with varying grit sizes. Sizes range from 6 grit to 8500 grit. Concrete will only maintain 800 grit shine unless treated with sodium lithium silicate, which will then only maintain 1800-3000 grit shine. By going over the concrete repeatedly with the grit diamond pads, the concrete retains a glassy, shinny finish. Acid stains and concrete dyes can be used during this process to add more color and shine. Interested in obtaining a quote for decorative concrete? 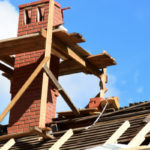 Contact Turnbull Masonry today!